Thor Hansen was an outstanding figure in the field of Canadian design. In May 1948, Hansen spoke to the newly formed Simcoe County Arts and Crafts Association on the subject of “Canada in Design.” At the same meeting, Willam Cranston suggested holding a quilt and rug fair in the county to keep alive these crafts. To show SCACA members how to create original Canadian designs, Hansen offered to draw pattern for quilt and rugs illustrating the history of Huronia and the nature and wildlife of the region. Design patterns included: Huronia Trails, The Old Grist Mill, Lumberjack, Trillium, Lady’s Slipper, Canada Goose, Indian Pipe, and Kitchikewana of the Ojibway legend throwing the 30,000 Islands of Georgian Bay. At the 1949 fair, the president of the B.A. Oil Company and his wife admired Hansen’s designs. Hansen was invited to plan the interior design of the company’s new office building under construction in Toronto. Canadian designs were used throughout – wall hangings, drapes, door decoration, furniture, even radiator grills. For Hansen more design assignments followed. Hansen emigrated to Canada from Denmark in 1927. He died in December 1976. 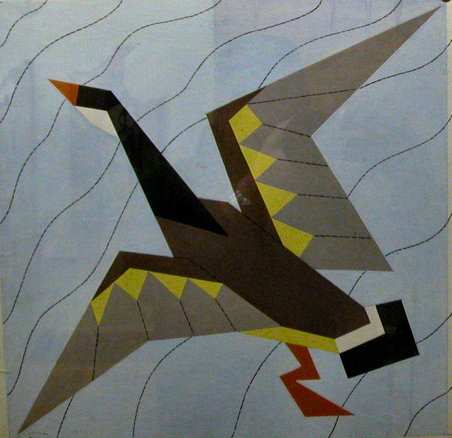 In 1976, through the efforts of the SCACA, the Thor Hansen Room was opened in the Huronia Museum, where many of his original designs may be seen. 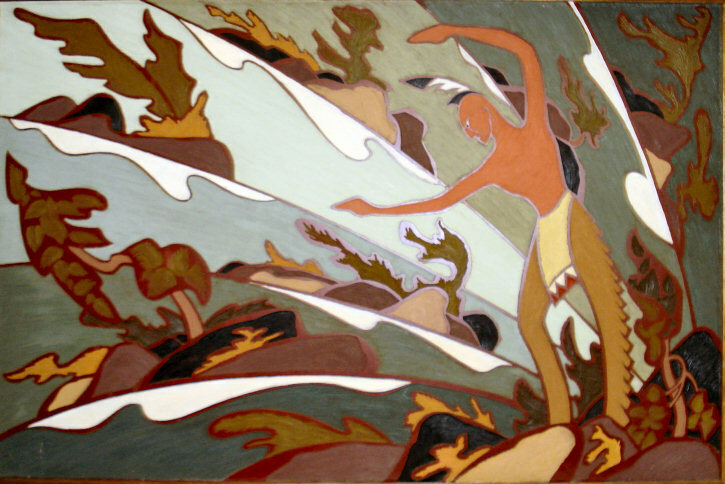 Hansen’s designs were intended to be used in various materials: ceramics, wood sculpture, carved linoleum, painting, carved wood, tooled leather, and tapestries.